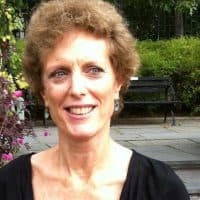 Debra Rothschild is a licensed clinical psychologist, a credentialed alcoholism and substance abuse counselor, and a certified psychoanalyst in private practice in New York City. She is a clinical associate professor of psychology (adjunct), and a graduate of the New York University Postdoctoral Program in Psychotherapy and Psychoanalysis. In addition, she teaches in the Eating Disorders, Compulsions and Addictions program and the WA White Institute, and she serves as a clinical supervisor at City College, Yeshiva University and Long Island University clinical psychology programs. She is on the executive board and twice past president of the New York State Psychological Association Division on Addictions. She publishes and lectures widely on the integration of psychoanalytic thought with harm reduction psychotherapy and substance use treatment.